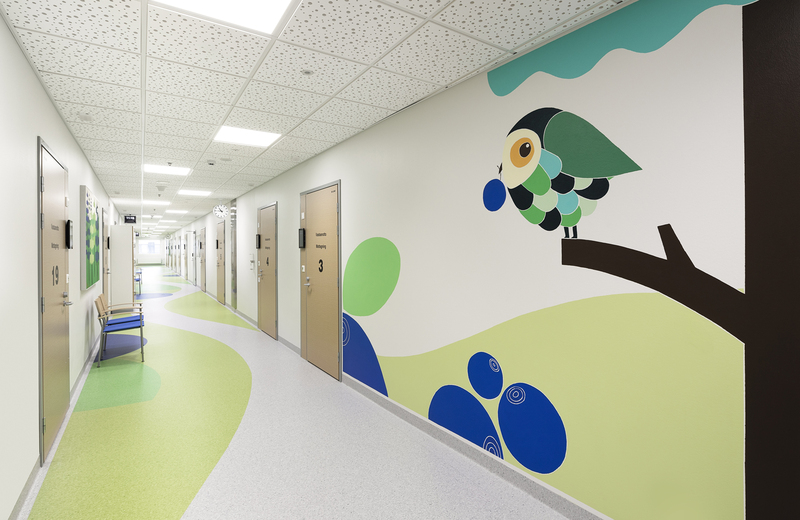 Bringing art and colour into a hospital space. 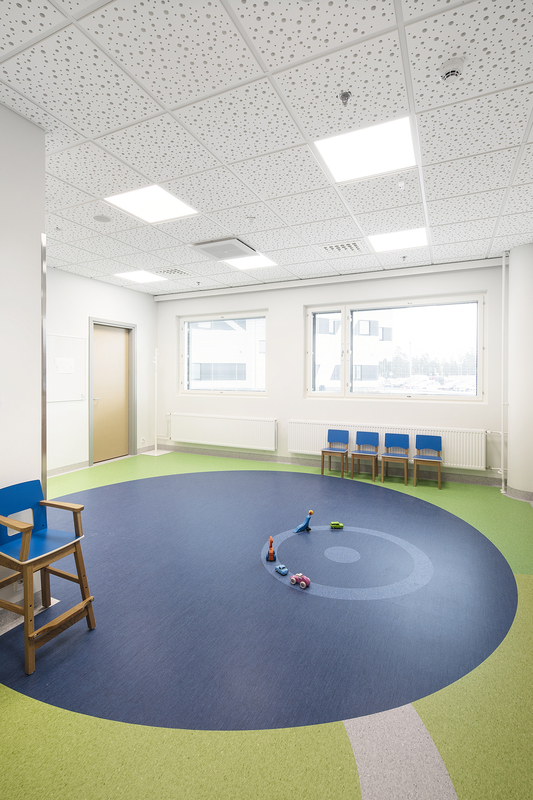 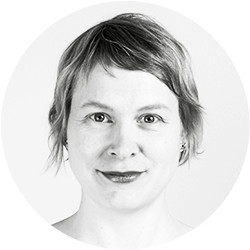 In co-operation with artists Anne Vasko and Olli Larjo, Berry Creative participated in planning the art experience of the children’s department in the new H-Hospital in Hyvinkää. 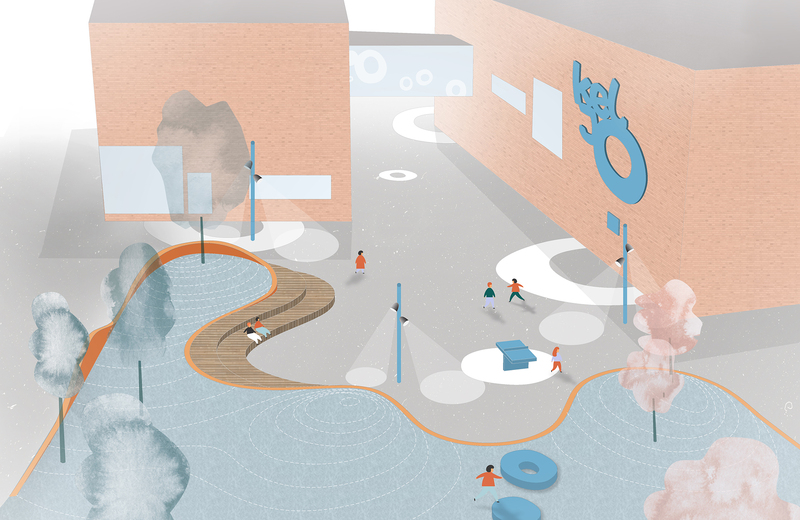 The aim was to create optimistic spatial experience. 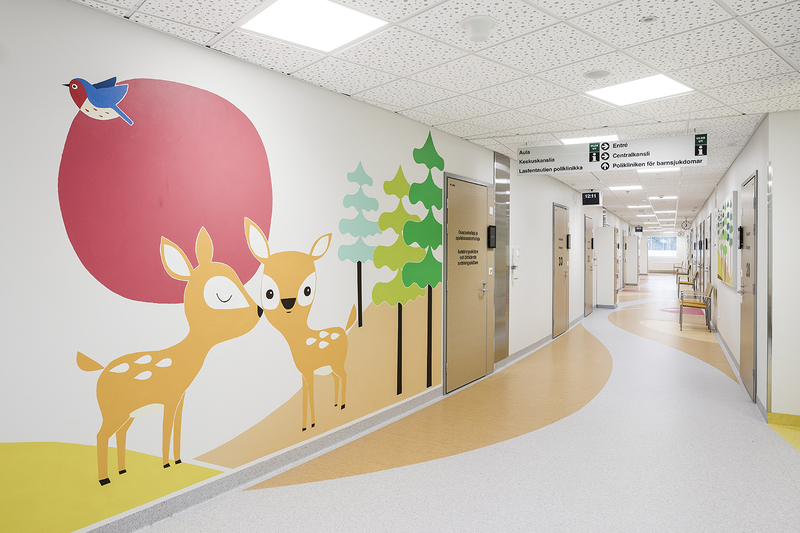 Since the theme for the art in the hospital is forest, the theme for children's department located on ground floor became forest ground. 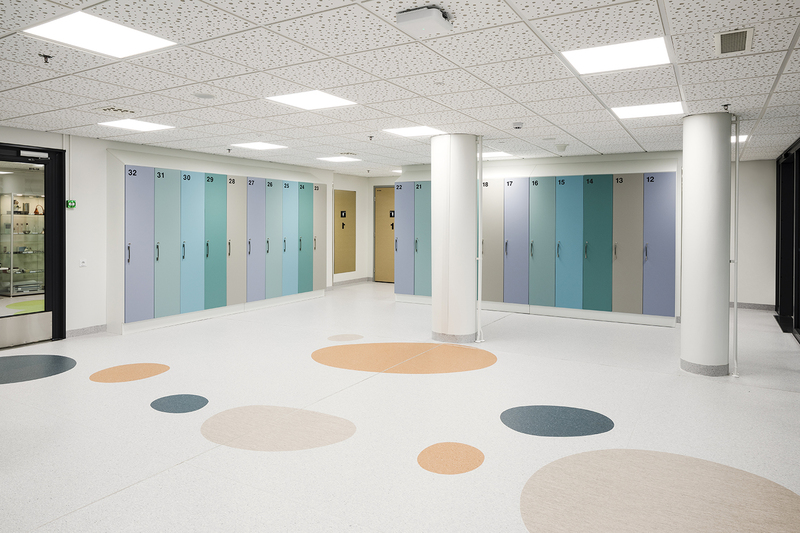 Berry Creative designed the insightful floor patterns that guide the visitors. 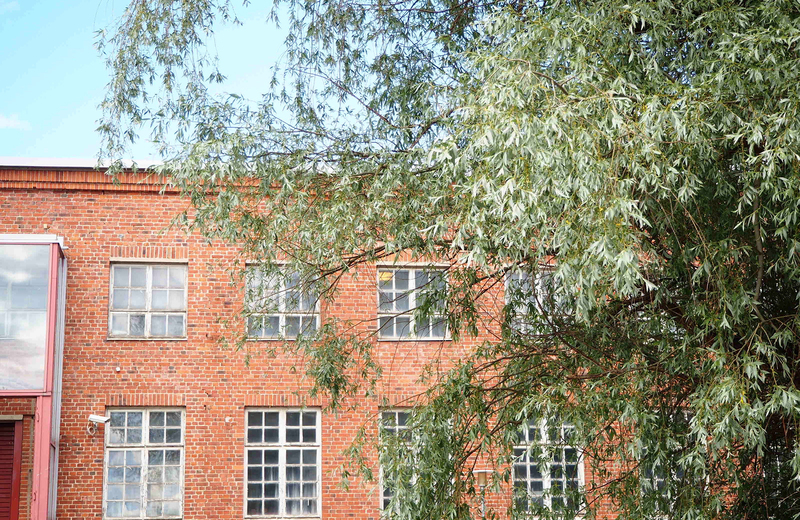 Much attention was paid in selecting the colors that were inspired by the forests around Hyvinkää city. 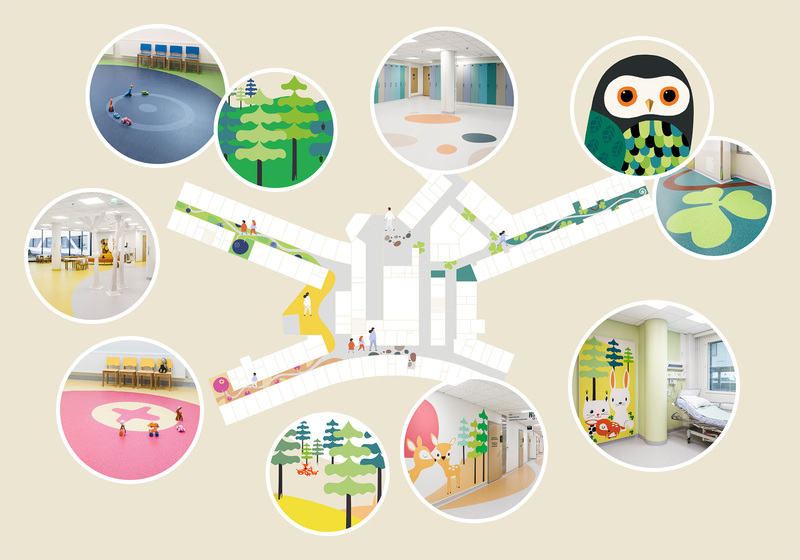 The forms and colors are planned to feel meaningful for children of all ages, from babies to teenagers. 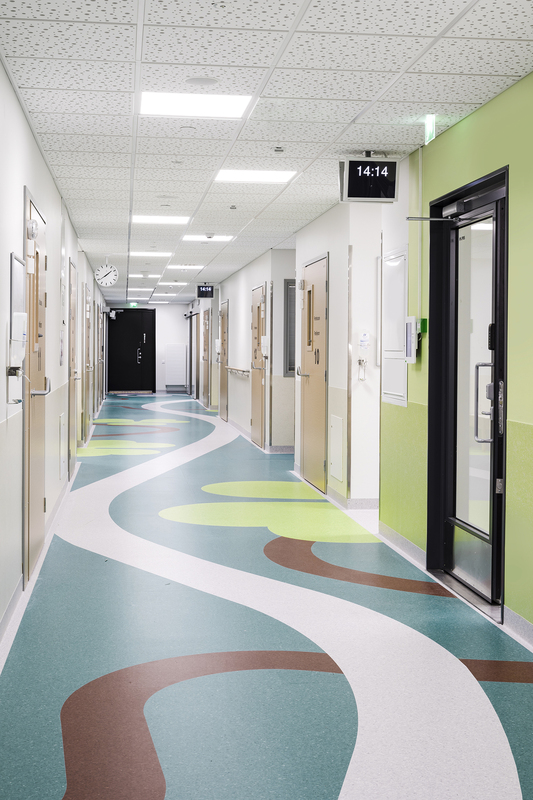 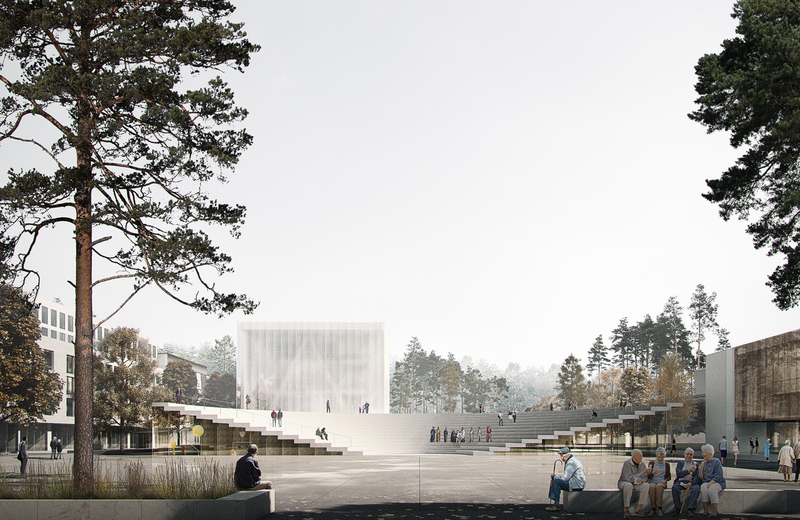 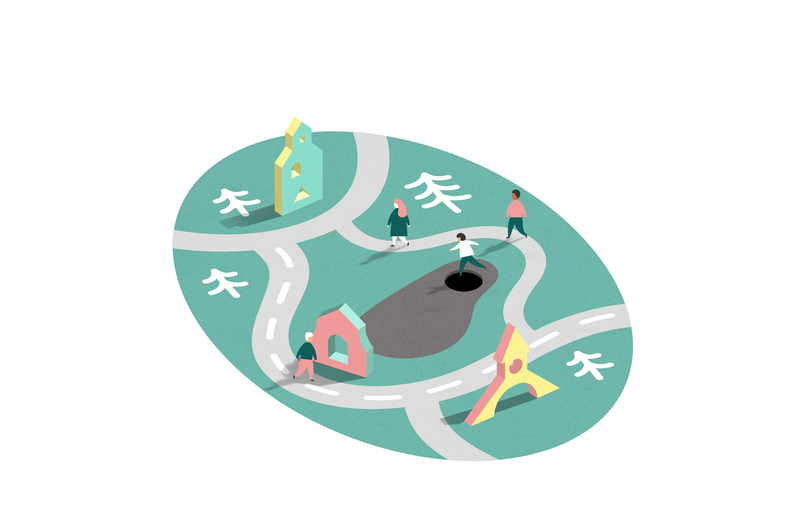 Graphic floor patterns create paths that lead the visitor through different forests and swamp areas of Hyvinkää. 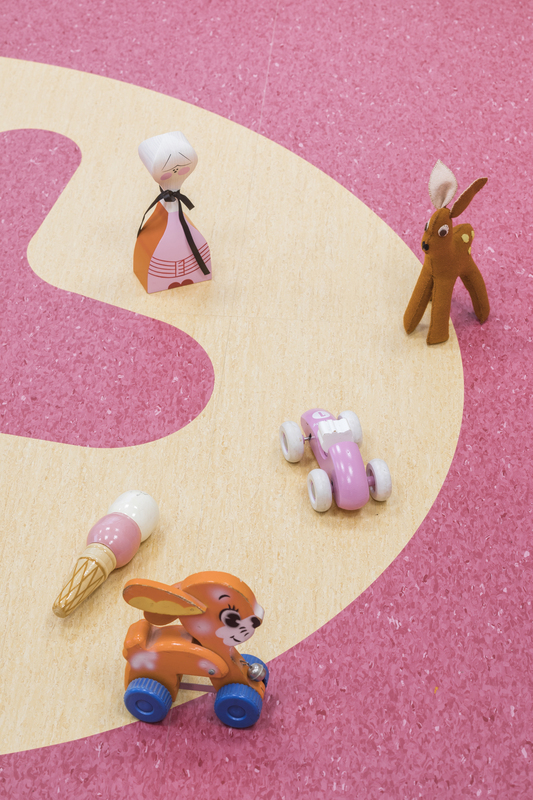 The pictorial motifs encourage to play, to hunt for blueberries and cranberries and to follow the smooth rocks. 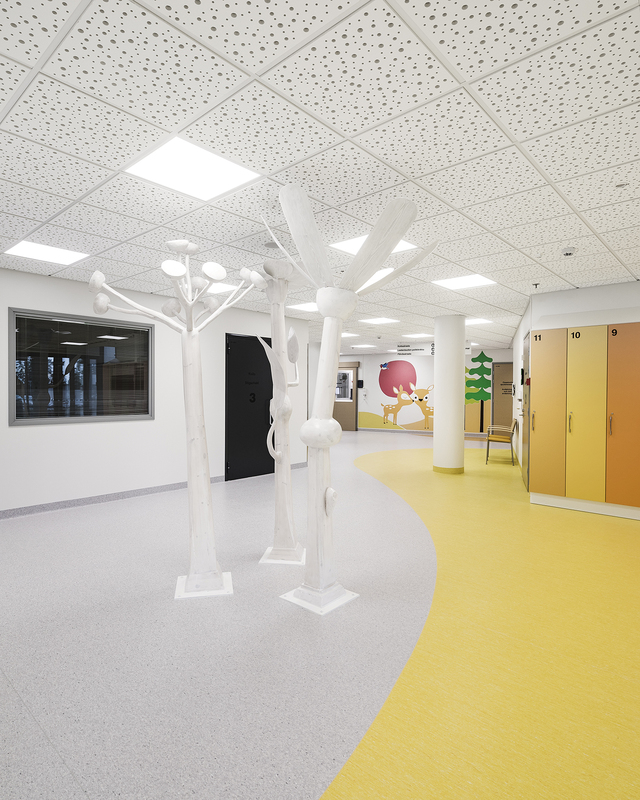 The art experience of children’s department makes the sun shine inside.